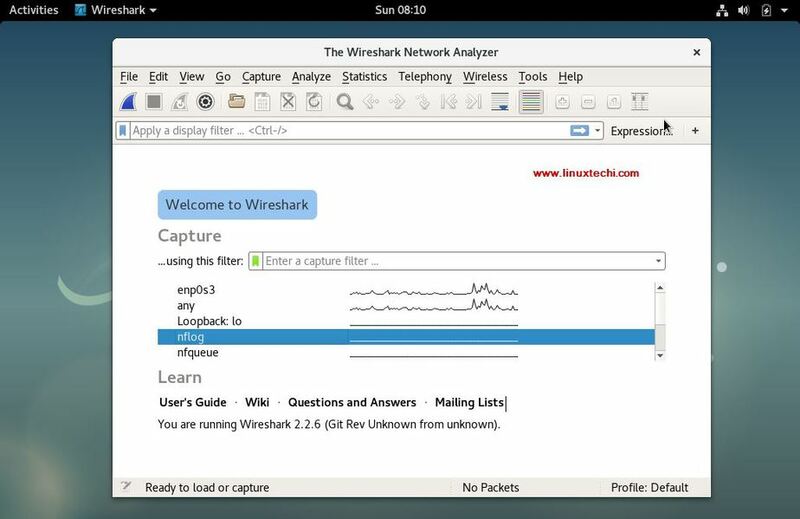 Wireshark is free and open source, cross platform, GUI based Network packet analyzer that is available for Linux, Windows, MacOS, Solaris etc. It captures network packets in real time & presents them in human readable format. 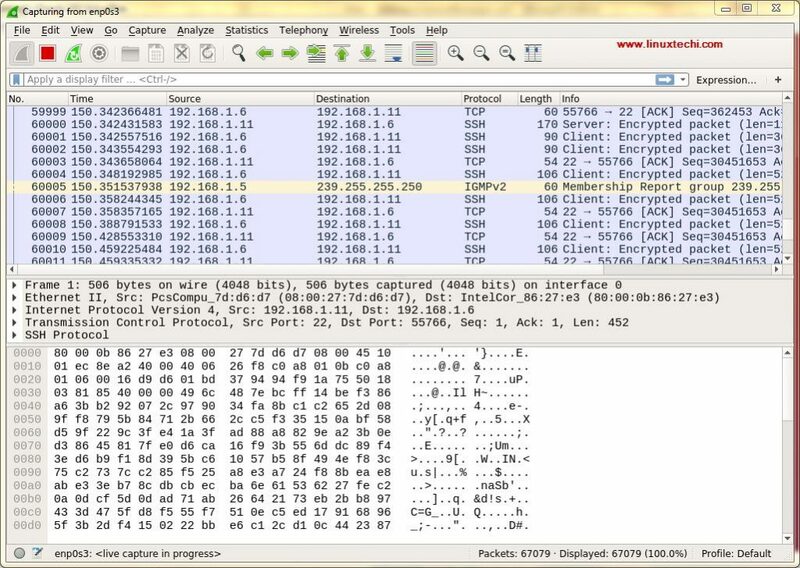 Wireshark allows us to monitor the network packets up to microscopic level. 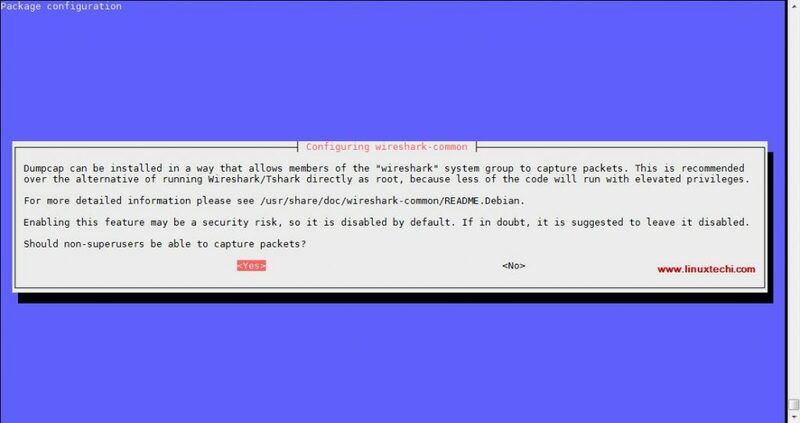 Wireshark also has a command line utility called ‘tshark‘ that performs the same functions as Wireshark but through terminal & not through GUI. Wireshark can be used for network troubleshooting, analyzing, software & communication protocol development & also for education purposed. 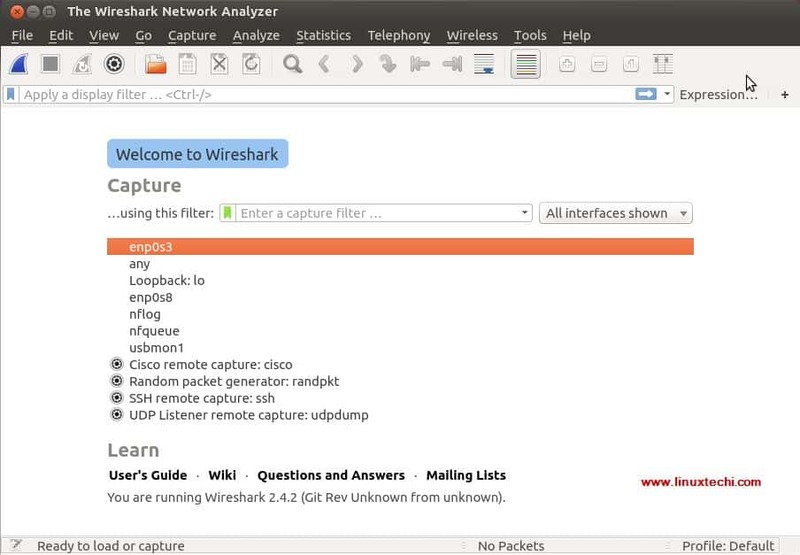 Wireshark uses a library called ‘pcap‘ for capturing the network packets. data can be captured from a number of interfaces like ethernet, wifi, bluetooth, USB, Frame relay , token rings etc. 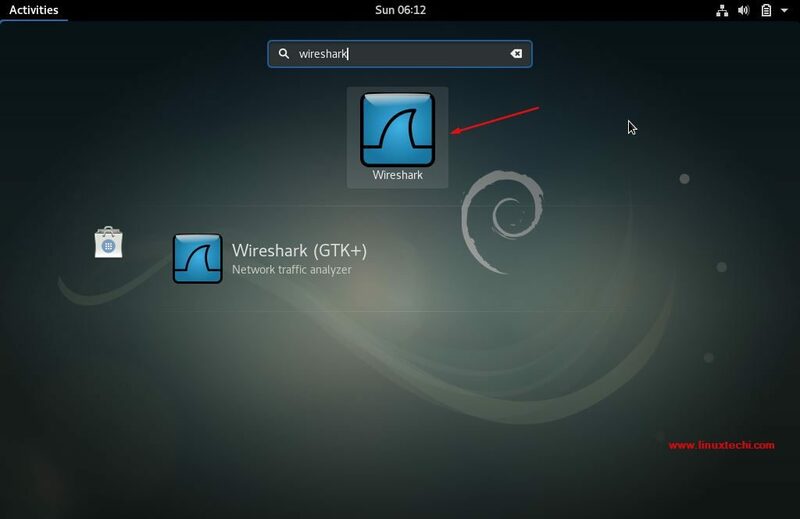 In this article, we will discuss how to install Wireshark on Ubuntu/Debain machines & will also learn to use Wireshark for capturing network packets. 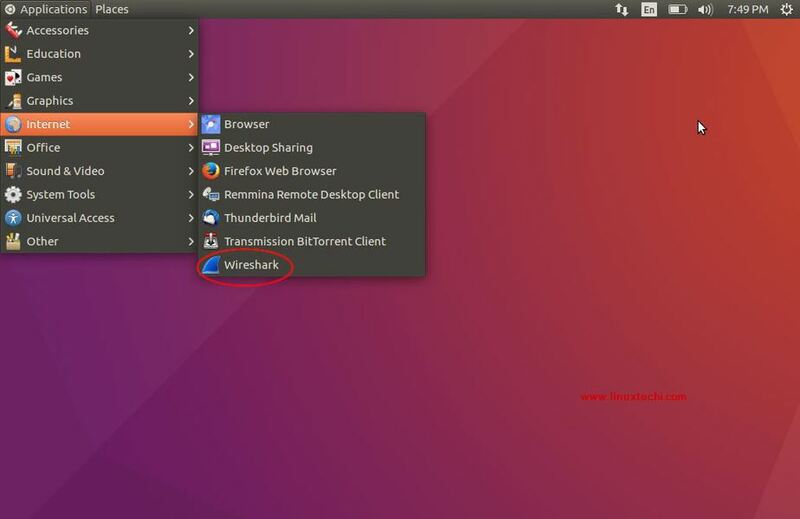 Wireshark is available with default Ubuntu repositories & can be simply installed using the following command. But there might be chances that you will not get the latest version of wireshark. So to install latest version of wireshark we have to enable or configure official wireshark repository. Select ‘yes’ and then hit enter. Once the Installation is completed, execute the below command so that non-root users can also capture the live packets of the interfaces. We can also use the latest source package to install the wireshark on Ubuntu/Debain & many other Linux distributions. Upon installation a separate group for Wireshark will also be created, we will now add our user to the group so that it can work with wireshark otherwise you might get ‘permission denied‘ error when starting wireshark. 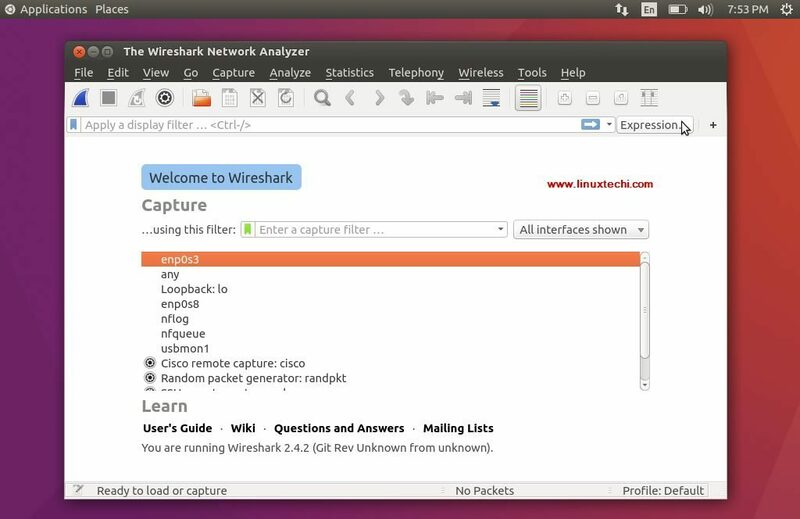 Once the wireshark has been started, we should be presented with the wireshark window, example is shown above for Ubuntu and Debian system. All these are the interfaces from where we can capture the network packets. Based on the interfaces you have on your system, this screen might be different for you. First time we see this screen we might get overwhelmed by the data that is presented in this screen & might have thought how to sort out this data but worry not, one the best features of Wireshark is its filters. We can also filter data based on the color coding, By default, light purple is TCP traffic, light blue is UDP traffic, and black identifies packets with errors , to see what these codes mean, click View -> Coloring Rules, also we can change these codes. After we have the results that we need, we can then click on any of the captured packets to get more details about that packet, this will show all the data about that network packet. Wireshark is an extremely powerful tool takes some time to getting used to & make a command over it, this tutorial will help you get started. Please feel free to drop in your queries or suggestions in the comment box below. I beg your pardon, but… are you sure, it is a good idea, to allow any user to capture the network traffic?? O.K., it is good to demonstrate, using capabilities but… As far as I know, there is a group for users, who need the right using wireshark. It is for the demonstration only. For real time environment , we can add specific users to a Wireshark group.